Just 6 Months Before His Passing, Lemmy Kilmister Played “Ace Of Spades” And Stole The Damn Show! Lemmy May Be Gone, But His Legacy Is Stronger Than Ever! When the news of Lemmy Kilmister’s passing broke, it sent a shockwave of sadness throughout the hard rock and heavy metal community. It goes without saying that this man was without a doubt one of the most iconic and influential men in all of music. He had a sound and style that were often imitated, yet never duplicated. He was one of the best, pure and simple. One of many things was certain when it came to the man Lemmy Kilmister, his live performances were always amazing. His band Motörhead were often considered the loudest live metal bands of all time. If you lived 10,000 miles away from where they were playing, you’d hear them loud and clear. The point is, there is nothing about this band that isn’t awesome and the proof is in this performance! 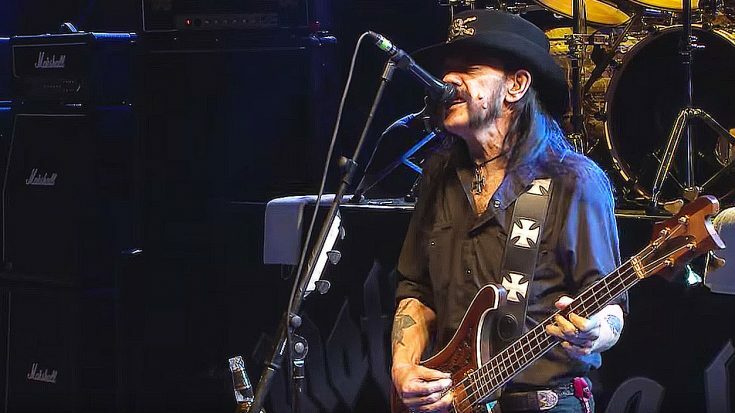 What you’re about to watch is a video in which Lemmy and his band Motörhead take to the stage and perform their iconic smash hit Ace Of Spades and as you could imagine, they stole the damn show! Don’t believe me? See for yourself!